Many thanks to all who attended the business meeting at President Lincoln’s Cottage. We had a fun social hour prior to the meeting and tour of the cottage. We learned a bit more not only about Abraham Lincoln, but also about the man who provided the opportunity for us to meet at the cottage — our late Guild member and friend to many, Armen Tashdinian. 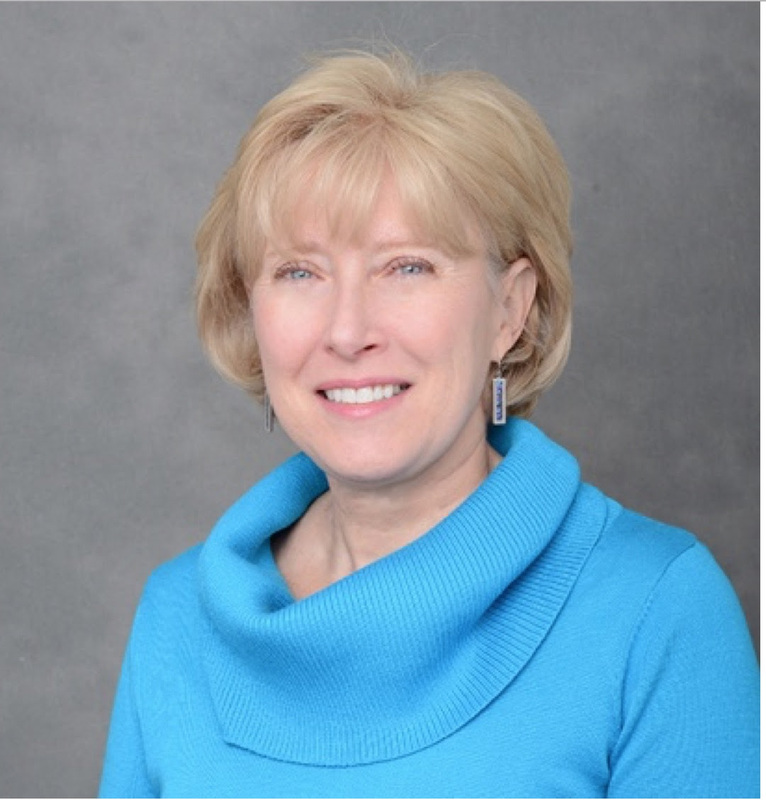 Sandra Sheskin, former Guild president and friend of Armen, introduced many of us to him by speaking from her heart about his kindness, generosity, intellect, and willingness to volunteer at a moment’s notice. Sandra recalled many times during Armen’s membership that he filled a much needed void when a call went out for volunteers, including service on the board. It is current and past members such as Armen who we have to thank for the professional organization we have today. The Job Fair and Showcase on October 23 was a great success, with over 150 Affiliates, Friends, and Guides participating in the event. Many thanks to the organizers, 1st V.P. Sandra Moore, Friend Liaison JP Nguygen, and their team of volunteers who made it happen: Tammy Belden, Lynette Clarke, Donna Everage, Debbie Friedmann, John Jackson, Sherry Kilgore, Aaron Killian, Mary Beth Lane, Barbara Longnecker, Russ Norfleet, and Corky Rainey.Volunteers make or break an organization such as ours. Without volunteers, the Guild cannot continue. Newer Guild members, including myself, are very fortunate that so many of our long-standing members made this organization as strong as it is by all of the volunteer hours they devoted to its mission over the past 32 years. They have passed the torch to the next generation to continue to build on its strength and, as members, we all have an obligation to meet the challenge through volunteering. I am reminding you all about the importance of volunteering and its connection to the continued existence of the Guild. The Guild is not in danger of collapsing, but we are in danger of not having enough members who volunteer, which is weakening our organization. At this time, a few regular volunteers are trying to serve the entire Guild which consists of over 550 members. I am currently staffing the committees for the 2018 - 2019 term and will be reaching out for volunteers. 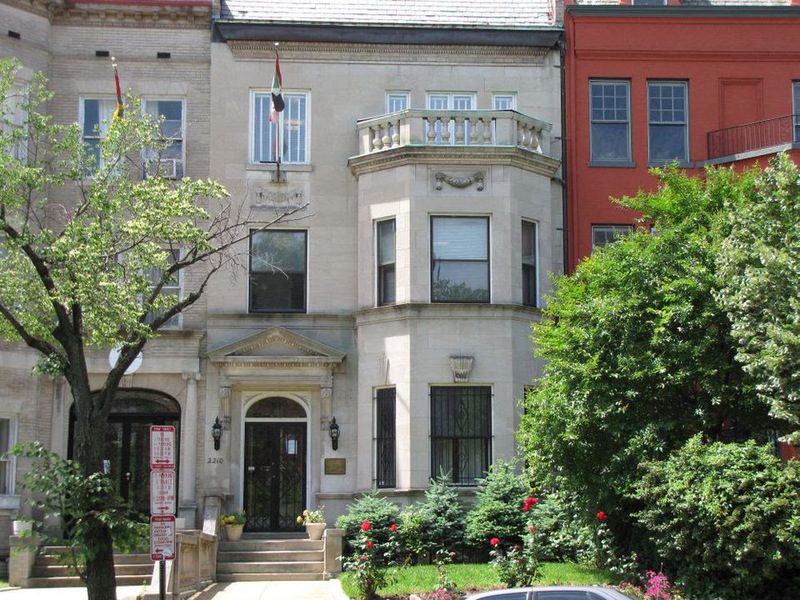 Please consider Armen Tashdinian as a role model and give back to the organization that has given so much in helping to advance your career as a DC tour guide. On a related note, congratulations are in order for Sandra Sheskin and Florence Jones who were recently elevated to Emeritus membership status due to their many volunteer hours in the Guild. They are part of the core of long-standing members who we have to thank for the strength of the Guild. Both Sandra and Florence have decided to hang up their tour guide umbrellas and watch us from the sidelines. Thank you both for your dedication, commitment, and service to the Guild and, most importantly, for helping to make the Guild what it is today. On a sad note, one of our Affiliates, Renata Koppel, former owner of Washington’s Best Guides, passed away in October. Renata was a friend to many of our Guild members and will be dearly missed. Renata was another of our core long-standing members who made the Guild what it is today. Please add your remembrances of Renata on the Guild’s “In Memoriam” web page. I hope to see many of you at our November 14 business meeting at the U.S. 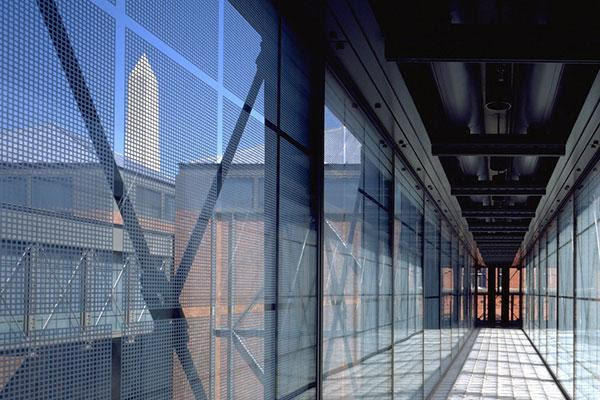 Holocaust Memorial Museum (9:30 am - noon). Judge Rohulamin Quanderis a Guild member whose family has a fascinating ancestral relationship with the enslaved people who worked at George Washington's Mount Vernon. Click here to view this seven-minute Guild Spotlight interview by Aaron Killian. Being certified by the Cathedral is useful because it gives you more flexibility in tour times and makes you more valuable for many tour operators. Register online to attend one of the training sessions designed to teach, reinforce, and augment your knowledge of the art, architecture, mission, and policies of the 20th century Gothic cathedral. 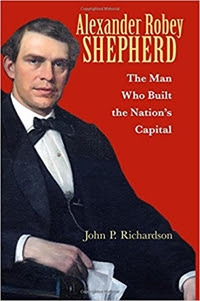 Join fellow Guild members and invited guests for a presentation by John P. Richardson as he discusses his book, Alexander Robey Shepherd: The Man Who Built the Nation's Capital. For further information contactAmy Mierley. 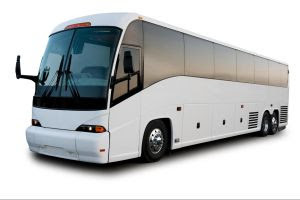 Why is the Motorcoach Guiding Workshop so important? Because routing, timing and commentary are the backbone of a great tour! This fall we will conduct the Motorcoach Guiding Workshop during the week so we can offer practical ways to experience daily traffic that we guide in on a day-to-day basis. Also, timing your commentary is also quite important whether you’re sitting in traffic or cruising down Pennsylvania Avenue. The workshop is open to all levels of the Guild, but keep in mind this workshop is a requirement to advance from Guild Guide to Guild Certified Guide.Sign up online or mail your $25 payment (Guild Prof. Tour Guides) to Heidi Watson, 1484 Morris Pond Drive, Locust Grove, VA 22508. If there are particular routes or questions you have in regards to transportation, send them to Heidi Watson or Tracy Hale. The final read for this year is Warmth of Other Suns (2011), by Isabel Wilkerson. An amazon.com review describes this book as “[an] epic, beautifully written masterwork.” In it “the Pulitzer Prize–winning author chronicles one of the great untold stories of American history: the decades-long migration of black citizens who fled the South for northern and western cities, in search of a better life.” This book was recommended by several Guild members who have already read it and want to participate in the group discussion. Information about the meeting place will be in the next Capital Guide Online and on GuildGuides. Signups have been so strong that capacity is expected to be reached soon for the Annual Guild Getaway. Although registrations on a space-available basis may be taken until November 21, don’t delay too long if you have been thinking about signing up. Full information about the trip is available on the Guild website. The first sightseeing stop will be in Shanksville, PA to visit the Flight 93 National Memorial.The group will continue on to Philadelphia for dinner at the historic City Tavern, and check a hotel for the night. In the morning there will be a special tour of the new Museum of the American Revolution. After a lunch break there will be an excursion to Washington Crossing. The next day there will be a mural tour of Philadelphia and a visit to Reading Terminal before departing for a tour of Valley Forge. The return to Washington, DC will be with new skills and information for your future guests! The scale of this project is huge. Over 200 tractor trailers will be parked throughout the cemetery that morning, and there will be thousands of first-time visitors to ANC. Guild guides help out by answering questions and providing directions at the gates and inside the cemetery. While at the cemetery, many visitors would like to visit the JFK gravesite, the Tomb of the Unknowns and other sites. 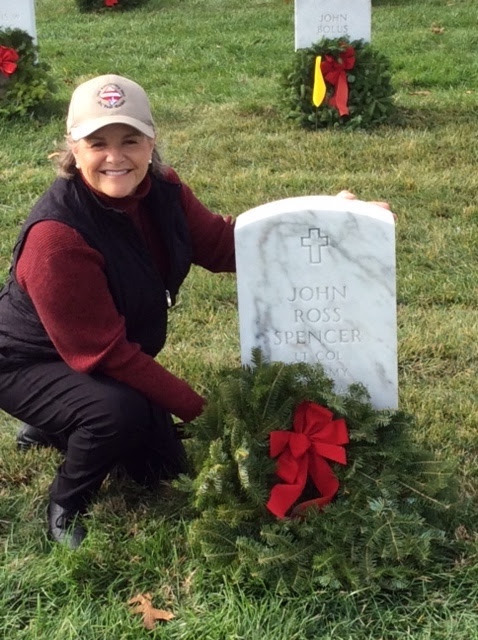 The “Wreaths Across America” organization is extremely thankful for the assistance we provide. It is a thrilling experience, and past participants say don’t be surprised if you find yourself staying longer than 11 am. It is a moving and gratifying way to say “Thank you for your service” to our veterans. Family members are welcome to volunteer with you, bringing just a smile and enthusiasm. All guides will receive a participation point for volunteering. 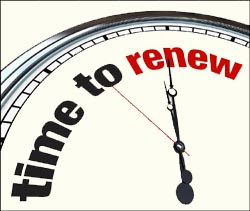 Renewal of the Guild group liability insurance policy is scheduled to begin November 1. The individual participation premium is $76.Note that liability insurance is a deductible business expense. Keep learning and networking by participating in as many Guild events as you can. Doing so increases your tour guiding skills and your marketability. Plus, you accumulate the CEUs to advance to Guild Certified Guide and get a new badge that reflects your dedication to advancement. The next oral assessment for advancement is scheduled for November 20. Register online by November 10for the oral assessment ifyou qualify. You need to have attended six business meetings, six education events, have completed the Mortorcoach Workshop, earned 25 participation points, and passed the online assessment. Good news! You now earn CEUs for participating in non-Guild education events. 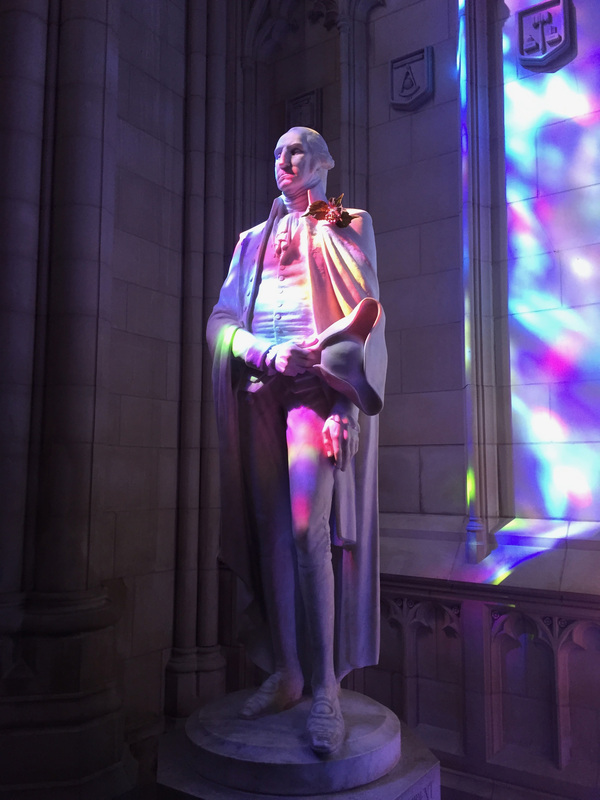 Earn CEUs from events such as like Smithsonian Associates programs, the Mount Vernon lecture series, and specialty tours at Washington National Cathedral. Request approval from Heidi Watson (gvthnks@mac.com) to receive CEUs for participating in non-Guild education events. CEUs will only be granted for current non-Guild education events you participate in, not past events. 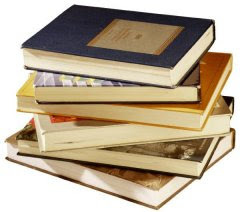 Generally, you will receive one CEU for your participation in an event. You can earn another CEU by writing an article about the event and the benefits you received by attending. With your permission, the article could be published in the Capital Guide.